Check out Tobi's Midnight Fringe Cardigan The fun starts with Line & Dot's Midnight Black Fringe Cardigan. 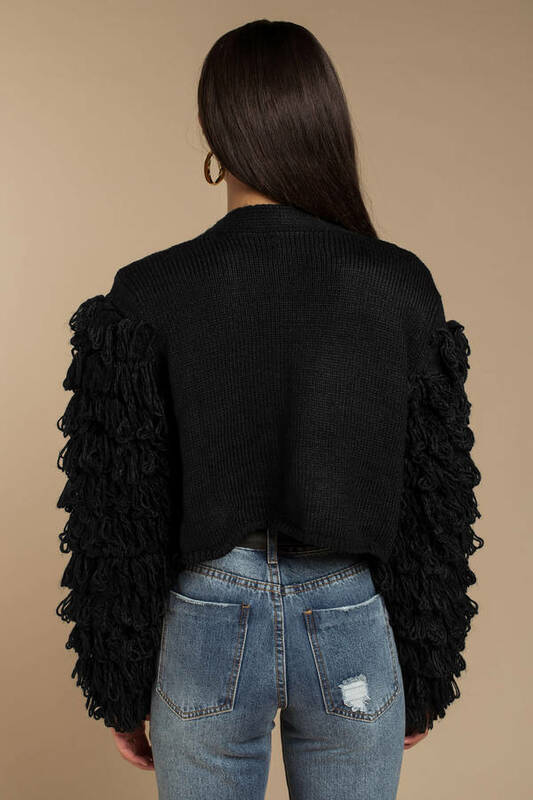 This shaggy cardigan features a drop shoulder silhouette, open front, and gorgeous allover fringe. Start the party in this fabulous cardigan, and pair it with an embellished mini dress. The fun starts with Line & Dot's Midnight Black Fringe Cardigan. 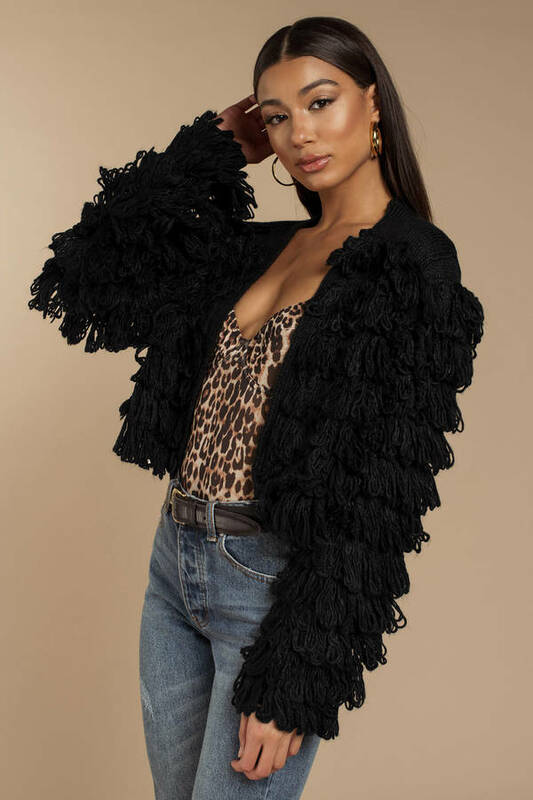 This shaggy cardigan features a drop shoulder silhouette, open front, and gorgeous allover fringe. Start the party in this fabulous cardigan, and pair it with an embellished mini dress.